A perfect 72 degrees, the heavens filled with twinkling stars and the serenade of tree frogs filled the air. The sweet aroma of the buds bursting into daily new eye candy assaulted the senses and I sighed in peace. This was a perfect night. And then I saw it… a flash of light so quick that I thought it was my imagination. I studied the horizon with intensity and waited. Yes, there it was again. A burst of light and then another. Lightening bugs had arrived! Within seconds my mind was carried back 50 years ago. I could feel the sense of anticipation and hear the squeals of children as we ran around the yard. We all carried small jars and let out a whoop when we caught a lightening bug. That night I would lay in bed and watch the lightening show in the jar sitting beside my bed. It was the best night light ever invented. 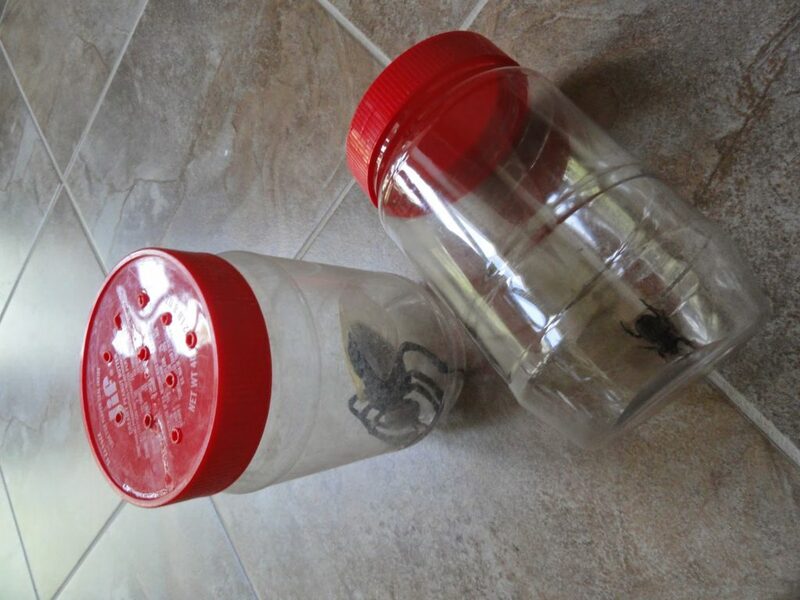 Summer brings about insects and creepy, crawly things. And, children have a natural curiosity about these things. It is when that curiosity peaks that parents can seize the most perfect teachable moment. So, you need to be ready. Safety Note: Always know what is poisonous for your area and teach this to your children. This should be taught in a calm ‘matter of fact’ manner. In other words, it is a safety precaution. It should be presented in a way as to not scare or frighten your child from all insects or creeping, crawling things (like lizards, frogs, toads, etc.) Not every insect and crawly thing can be picked up, but most can! So, don’t miss out on great learning opportunities by avoiding all of them. Educate yourself and your children so that you can have many joyous adventures and be safe at the same time. My favorite thing to have on hand when exploring anything new is a field guide. Find a book on insects from your area. If you don’t have one, check one out from your local library. A magnifying glass is also a wonderful tool to have in your insect collecting supplies. A notebook with lined paper is great to take notes about what you find, keep tallies of how many you find, draw pictures or make up stories about your discoveries, etc. This activity is for all ages. Small children will observe and catch. Older children can journal, identify and classify their critters. 1. 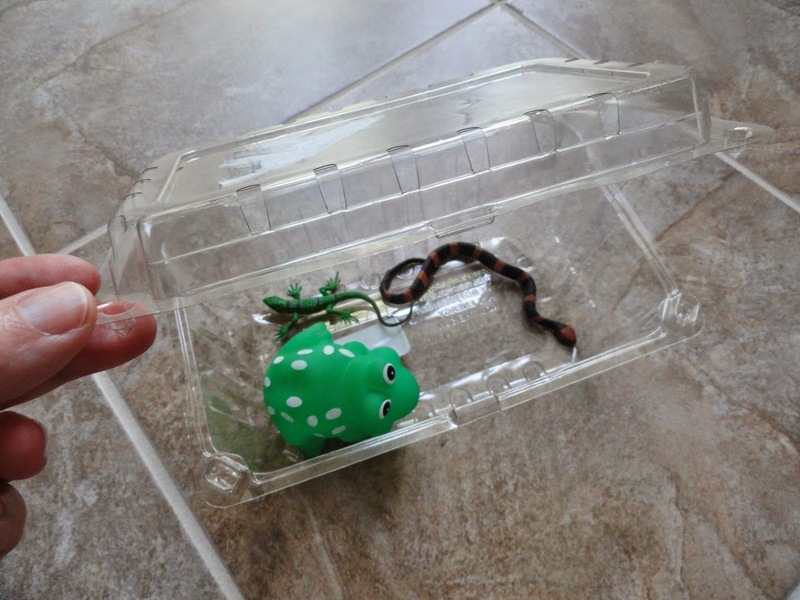 Plastic fruit box from the produce department. It has holes to allow your “catch” to breath while studying it. Observe and release. 2. 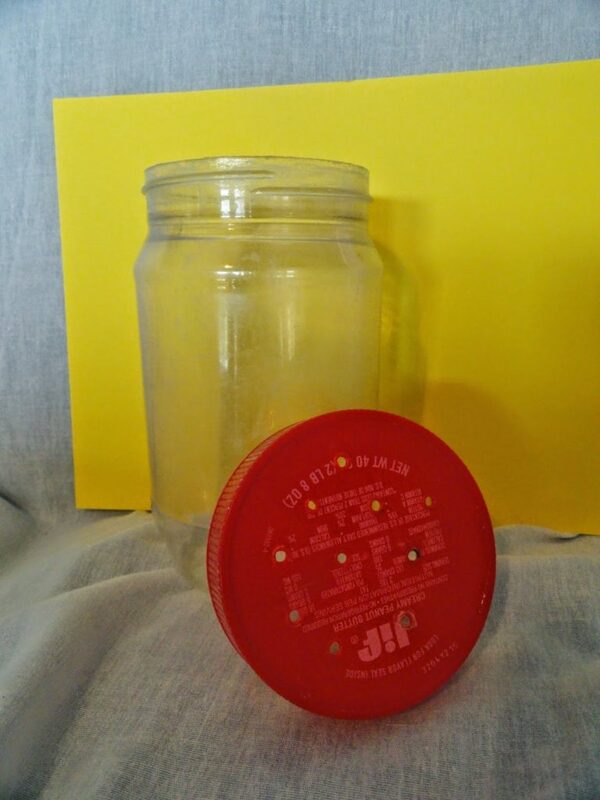 Plastic jars with holes in the lid. Below is an empty peanut butter jar. Holes can be made BY AN ADULT with a small drill bit or a heated awl.